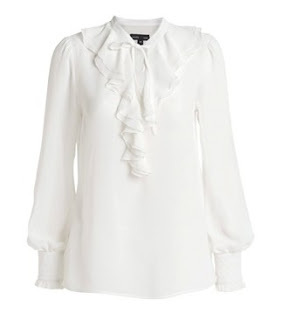 ELLOS Blouse with Jabot Frill (White), £29, La Redoute. I hope you're wearing more than just the blouse! Haha!